Kobo's latest ereaders, the 6" Kobo Aura edition 2 and the 7.8" Kobo Aura One, are now up for pre-order from Fnac, Indigo, and from the Kobo website. Currently only Fnac is showing a ship date, but both ereaders are officially supposed to get released on 6 September and should ship on that day. Fnac, on the other hand, is promising to ship on 1 September, and several longtime Fnac customers swear that Fnac's estimates are usually spot on. I have yet to find or hear reports about pre-orders in other markets, sadly. So are you going to buy one? If so, you should get it from Indigo. From what I have heard, it's faster for US customers to order from Indigo in Canada than from Kobo itself. 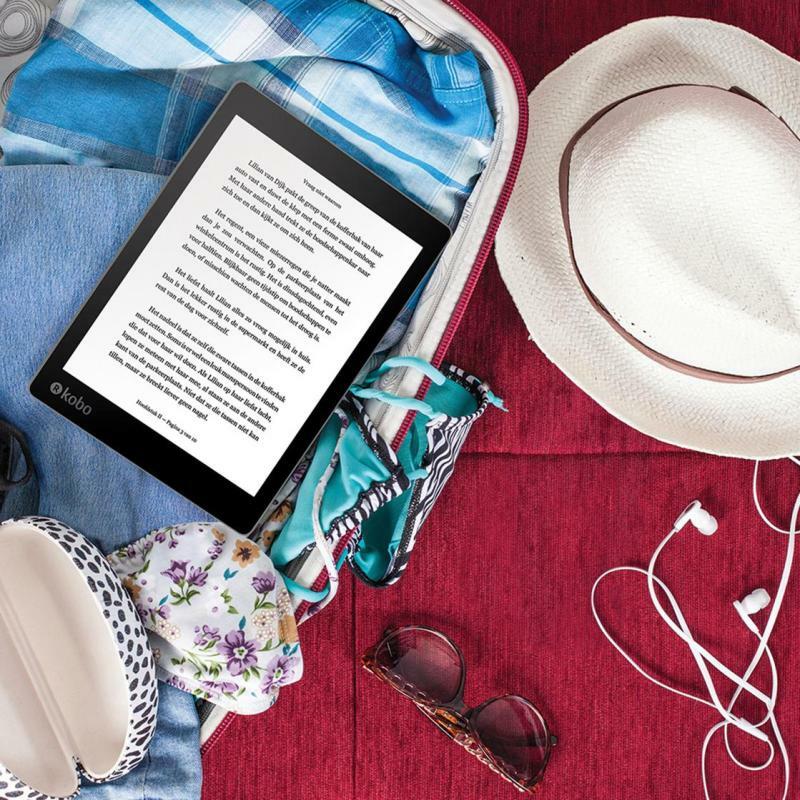 Kobo owners over on MobileRead say that Kobo still has the same "take the order, lose the order, ship the order" process of years past. Me, I have a Kobo Aura One loaner, so I have no immediate need to buy one. And given the disappointing specs of the Aura edition 2, you'd be better off buying the Kobo Glo HD. But if I were going to buy an Aura One, I still wouldn't. Instead, I would get an Aura H2O. While I like the screen on the Aura One, I also know I can find an Aura H2O refurb on Ebay for around $100. That's half the price of the Aura One for about 80% of the features. I don't care about the night reading mode, and I expect the Overdrive integrationto show up in the Aura H2O's next update, so that deal on a refurb is a good trade off, IMO. You can pre-order at Chapters to be shipped to other countries. No, I am not ordering one. I have an Aura HD, also an 8″ tablet, and a couple 5 and 6″ kobos. I don’t need another ereader, but would have bought the One, had it been smaller. I’d love a 6″ waterproof kobo. If it lived up to its potential for PDF reading I’d order an Aura 1, but as it stands, not on a bet. I recently compared how the 6.8″ Kobo Aura HD and the long-in-the-tooth 6″ B&N Nook Simple Touch handled PDF texts. B&N won, and it wasn’t close. As the Aura 1 will most likely be using the same Kobo software as other Kobos for reading books and docs, the test was not encouraging. It was suggested to me that installation of koreader software will give a much better PDF experience.Following is a koreader installation guide. I haven’t tried the installation guide yet, so cannot say what results will be for using it. The reported 15 hour battery life is not encouraging, as most e-readers have had ~ 30 hour batteries. I’ll wait to see what Amazon releases in September (more than likely some updates to the Fire tablets and may be incremental updates for the Voyage and Paperwhite). If Amazon don’t release a larger e-reader then I’ll purchase a Kobo Aura One (it will be my first Kobo). I pre-ordered mine directly from Kobo yesterday. No ship date was provided but the email does state it will ship via UPS Ground and take 7-10 business days. I’ll be switching most of my reading from my Kindle Voyage to the Aura One. I’m looking forward to the larger screen and the night mode light. Prior to the Kindle Voyage, I read on a Sony PRS-350 with a goose-neck reading light case which I modified with yellow and orange plastic filters over the LED light to create my own night-friendly light. I have missed that warmer tone ever since switching to the Voyage and its harsh white/blue light. I’m impatiently counting the days until my Aura One arrives.